Find your next secure truck parking spot in seconds! 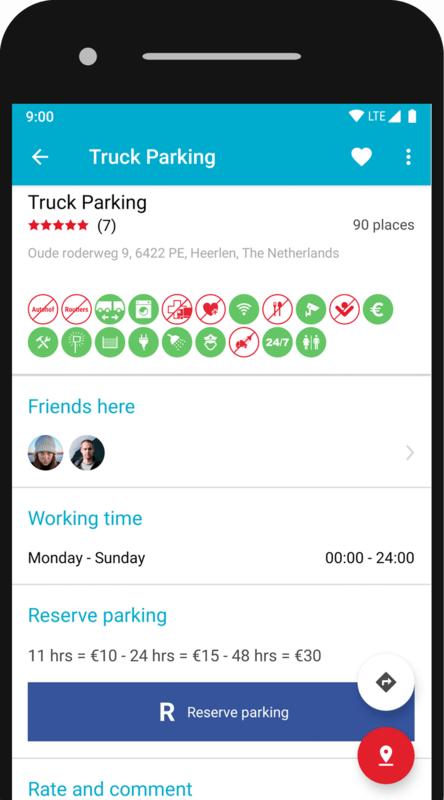 Over 34.000 truck parking spots in the palm of your hand. Easily filter locations on security, comfort, infrastructure and more. Enter your destination and driving time, we take care of the rest. All facilities, spots, occupancy and reliable reviews and ratings. Enter your mobile number and receive a free SMS with a download link. Very useful for those who need a safe and excellent parking and always with some free parking in the late hours of the night. Especially abroad. Well done, keep it up! At the end of the day when it is time to stop, it is great to have this app to plan. The only one with time remaining driving. Keep the good work, thanks! It's really useful. Helps to find a place to park when time is running out or to plan in advance. Count down timer is very good. Location issue not a problem. Thanks for a great app! Very useful!! 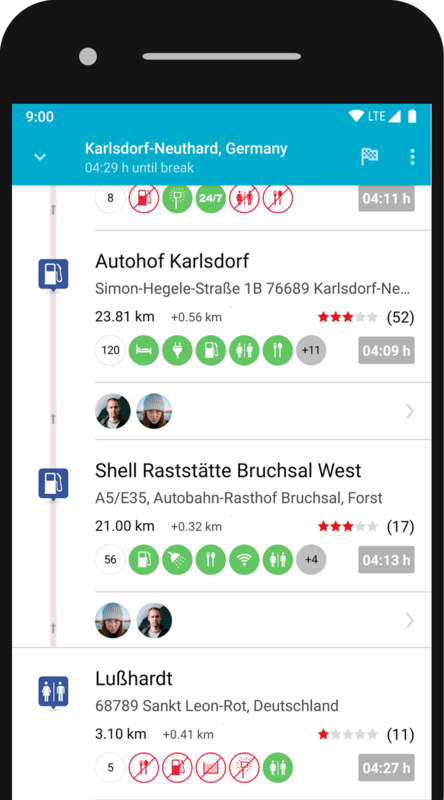 Very handy app for starting drivers and for unknown routes! Let's see if more people are encouraged to use it and report availability in the parking lots! Bravo! Connect with a growing community of drivers dedicated to secure and comfortable parking. 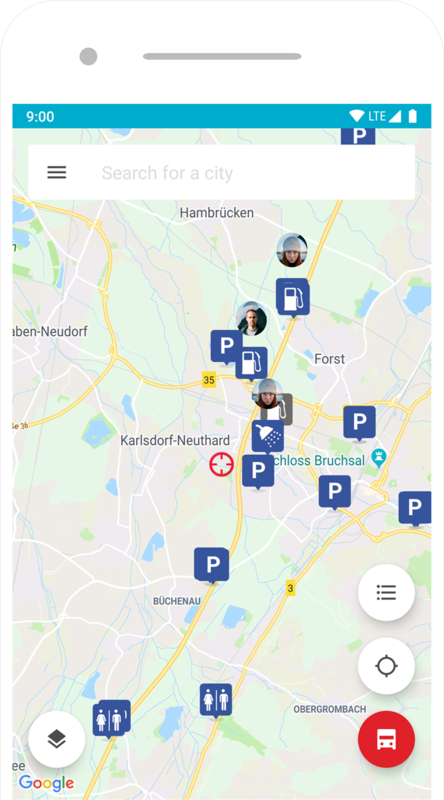 Search and find parking locations and check in with ease. Report free parking, edit and review facilities. Help fellow drivers! Start contributing; sign up now, it’s free. 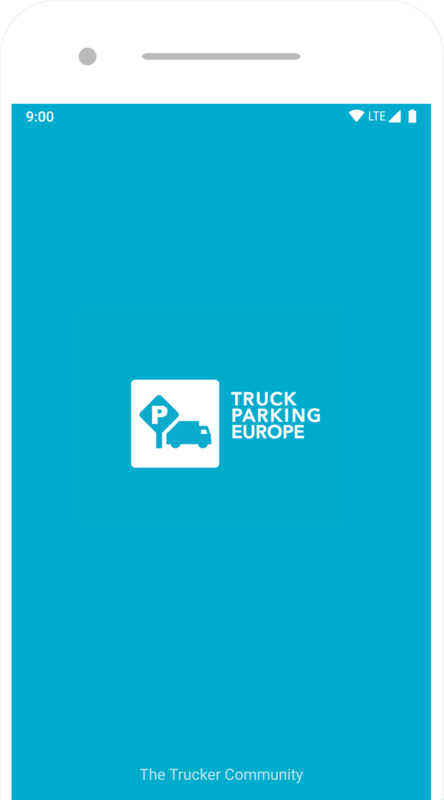 We provide you with the most up to date information on truck parking locations. 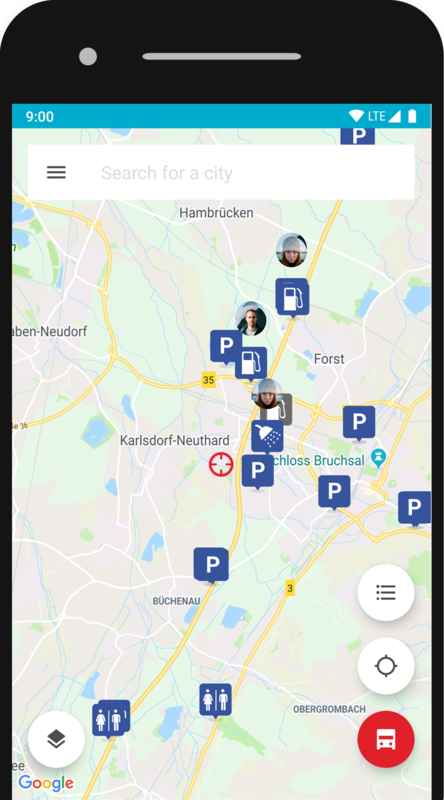 With our mobile or web app, you can view all amenities and attributes for each parking location, along with reliable reviews and ratings from fellow drivers who understand how important it is to find the perfect parking location. We know you have a busy job. You need to comply with legal rest times and at the same time maximising your driving time and making distance on the road. We are here to help! 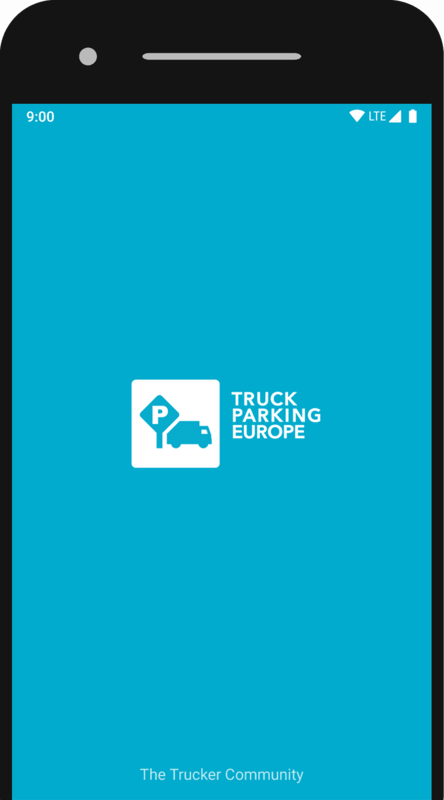 The Truck Parking Europe app features “Driving mode”. Enter your start and end-destination, plus your remaining driving time, and we take care of the rest. We calculate the most optimal HGV route, including suggested parking stops and rest areas. We use the power of PTV Group xServer, which is engineered with you and your truck in mind. This incredible software considers truck-specific restrictions to find the optimal route. Start planning your trip now. 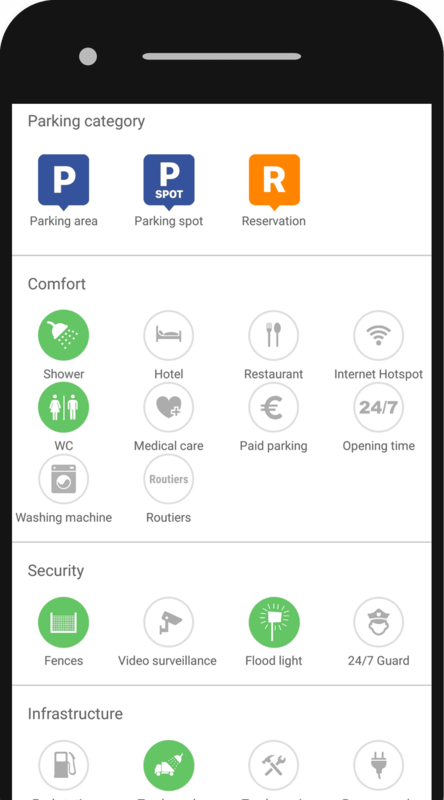 To ensure you have the safest and most comfortable rest possible, the Truck Parking Europe app includes various parking search options, allowing you to select the best parking for your needs - from security filters such as CCTV, fence and floodlighting, to comfort facilities like WiFi, toilets and showers, Looking for a fuel station or carwash near you? Our app has you covered!